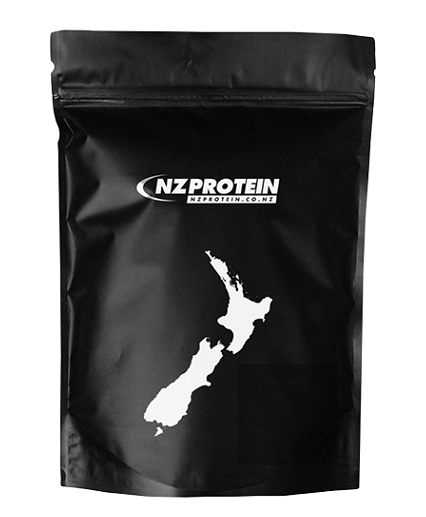 NZ Protein's beef protein powder is a complete muscle building protein that's great tasting. Beef protein mixes and digests easily and has a much higher protein level than other sources; Where whey, egg white, and pea typically have around 80% protein, and whey isolate has a little over 90% protein, beef protein powder has 98% protein (unflavoured). That makes this product more economical and as a bonus there's virtually no fat or carbohydrates! Beef protein is naturally hypoallergenic meaning it's free of milk, egg, soy, lactose, gluten, sugars, and other things* that can cause gut irritations. Eliminate the gastro side effects without comprising results! A number of people have been turning away from the traditional milk based protein powders in favour of pea and egg protein powders but we feel that this product is a much more satisfying alternative - the Double Chocolate flavour tastes great! Raw beef contains 20-25g protein per 100g. When cooked the water content lessens so the protein level increases to around 28-36g per 100g. By comparison beef protein isolate powder has 98% protein (unflavoured) because virtually all of the moisture, fat and carbohydrates are eliminated. This includes the saturated fat and cholesterol often associated with the negative effects of consuming beef. The amino acid profile of beef protein powder is still of beef and resembles the amino acid profile found in human muscle tissue. 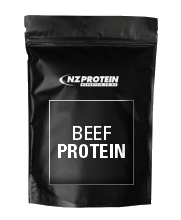 This means that beef protein isolate is well suited for muscle recovery and development. This product doesn't need cooking or preparation either so it's incredibly convenient and economical. Protein digestibility is a measure of the proportion of protein that is absorbed by the body. 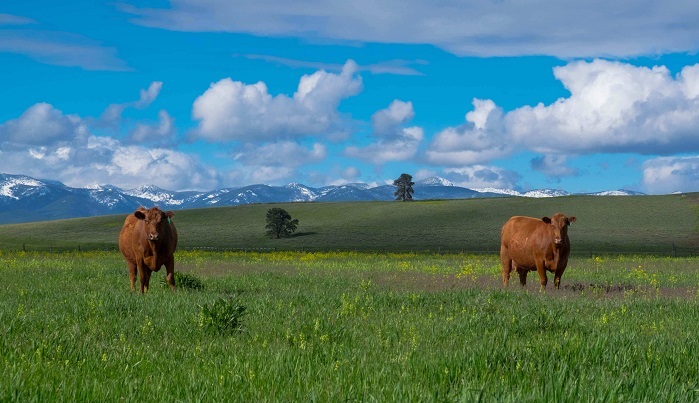 Beef protein scores 94%. Biological value is a measure of the proportion of absorbed protein that's retained for growth and maintenance. Beef scores 80. The Protein Digestibility-Corrected Amino Acid Score (PDCAAS) is a rating that determines the bioavailibility of a protein. The maximum score is 1.0. Beef scores 0.92 on this scale. A number of people have been turning away from the traditional milk based protein powders (such as whey) in favour of alternatives. One serving of our beef contains 128 calories and ~30 grams of protein (unflavoured). One serving of our whey concentrate contains 130 calories and ~25 grams of protein, so both have similar calories and beef has more protein. Beef is lower in L-leucine than whey. Leucine is one of three branched chain amino acids and is primarily involved in muscle protein synthesis for muscle growth and recovery. It also contributes to the regulation of blood-sugar levels, growth hormone production and wound healing. The leucine content of beef is ~3.7g per 100g, and in whey ~9g per 100g, so whey may be better for muscle development. Though this could be easily overcome by having a Branched Chain Amino Acid (BCAA) supplement with the beef isolate. Though whey has a better amino acid profile for muscle development, the amino profile of beef resembles human muscle tissue. Both are complete proteins containing all essential amino acids. 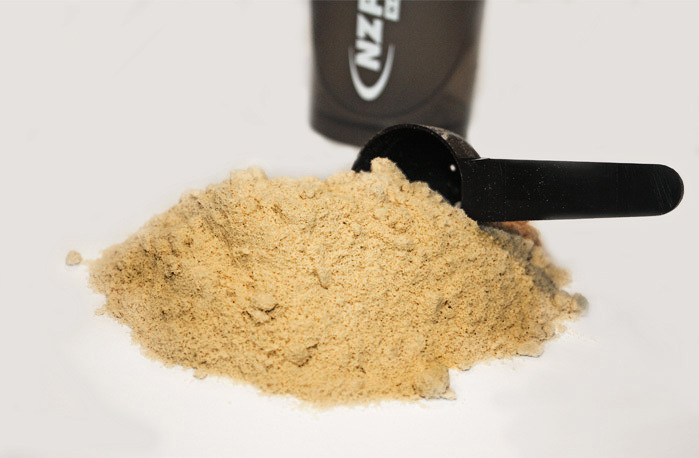 Whey is fast digesting and beef protein isolate digests at a medium to fast speed. Both are excellent tasting and beef makes a good alternative to whey for those who want a great tasting shake. Lower BCAAs but resembles beef. This can be increased easily by adding a BCAA supplement if required. We don't add any fillers (or "processing aids") to dilute the protein level. Good alternative to whey. Very high protein with virtually no fat or carbs. Faster digesting. Best amino acid profile. Hypoallergenic so unlikely to cause stomach upsets. Milk and lactose which can affect those with stomach sensitivities and cause some people to experience bloating or other upsets. We think beef protein tastes as good as our NZ whey. It has a smooth texture and is more pleasant than pea and egg white. Our whey is clean tasting and has a natural creamy texture. We don't add any thickeners to modify the texture. Not instantised but mixes easily in water, milk, or your favourite liquid without lumps. It can be mixed in a handshaker or with a spoon. It's better with slightly less water than you'd mix whey with. Instantised (spray dried with lecithin to improve mixability). Mixes easily in water, milk, or your favourite liquid without lumps. It can be mixed in a handshaker or with a spoon. Not sure which flavour protein shake is for you? Try our beef samples here. Each sachet is one serving. 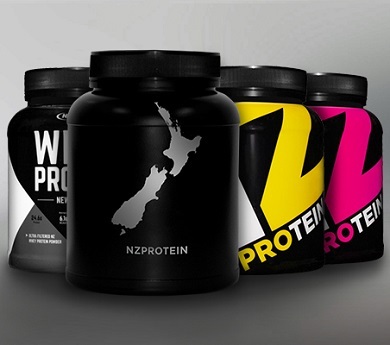 Not sure which flavour protein shake is for you? Try our WPC samples here. Each sachet is one serving. The cost is slightly higher cost than WPC but it has a higher protein level. There are 32 servings in the 1kg pouch, with the cost per serve being $1.31. This cost reduces when bought in bulk. Slightly lower cost than beef. To see how beef compares to our other protein powders see which type of protein is for me. There are some myths found online that beef protein is just collagen. Though this product is high in naturally occurring collagen, it is not collagen. Collagen does not have a complete amino acid profile whereas beef does. Collagen is made primarily of three amino acids - proline, hydroxyproline and glycine. In collagen the glycine and proline are 10-20 times more concentrated than in other proteins. Beef protein has reasonable levels of these but they're at nowhere near the levels of the collagen protein. As such collagen has a unique structure that can't be found anywhere else. Our collagen is also from cows but is separate product, extracted via a different process and sold separately. Beef protein is not instantised but it still mixes easily in water, milk, or your favourite liquid without lumps. It can be mixed in a handshaker or with a spoon. (Remember that it's always best practice to add the liquid before the powder). 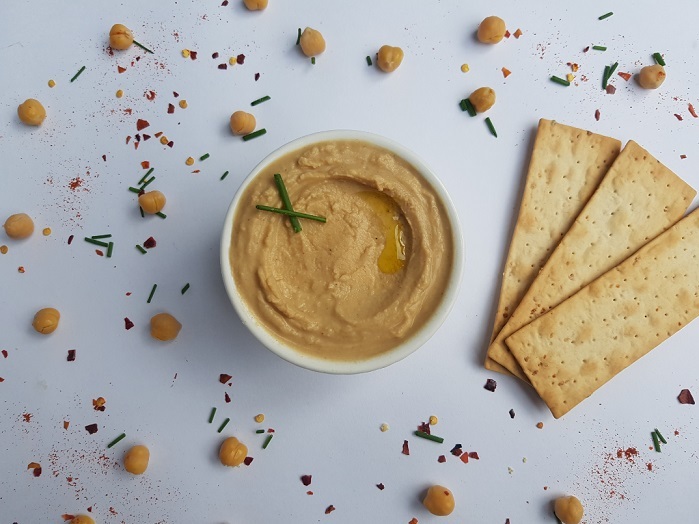 We recommend mixing it with less water/milk than you'd traditionally mix whey with as this will give it a creamier texture - just add a serve to ~200ml of water or milk in a shaker. Beef allergies are uncommon. Those with allergies to beef should avoid this product. This product contains virtually no saturated fat or cholesterol. It is not a 'processed meat' product and it is not extracted or cooked with high heat. 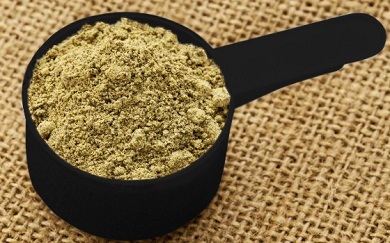 We think beef protein powder makes the best alternative to whey if it's taste you're after. Every protein powder has unique benefits - beef protein tastes good and has a smooth texture so is easier to drink than pea and egg white protein. Beef protein contains all essential amino acids and is a complete protein. Though the BCAA level is lower, the essential amino acids in beef isolate resemble human muscle tissue. BCAA levels can easily be increased by supplementing with a small amount of BCAA powder per serving. *Please note that while every care is taken, this product is processed in a facility that also handles milk, egg, soy, nut, and gluten ingredients.